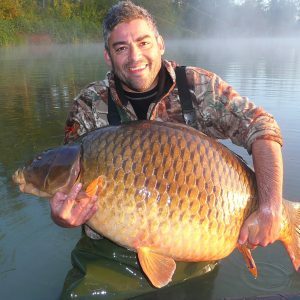 View basket “52″ Big Carp landing net” has been added to your basket. 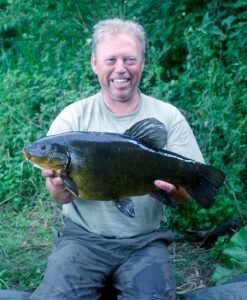 A good deal of mathematics is applied to the frame and spreader block design in all Chris Brown landing nets. 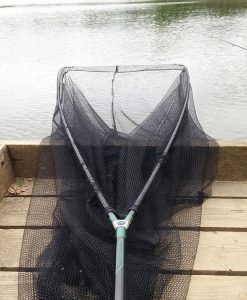 The net openings are the same as the arm lengths with a light tension, allowing the arms to be removed easily and the pole temporarily discarded whilst the fish is rolled in the net and lifted onto a suitable unhooking mat. The extended handle length to 9’ (6’ + 3’) gives amazing extra support when placed under the forearm for lifting. 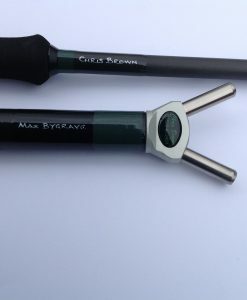 This is very useful when netting big fish on 13’ rods. 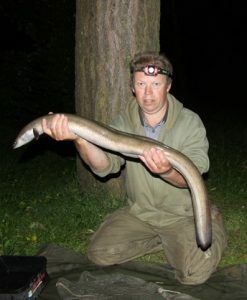 The only exceptions are the newly introduced Steve “Frappers”, Frapwell Eel and Cat nets, which use 60” arms with a 30” opening. 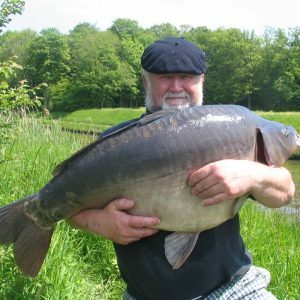 The Catfish version uses much stronger arms. All 32”, 36” and 42” landing nets can also be supplied in the Traveller version, please see price list. 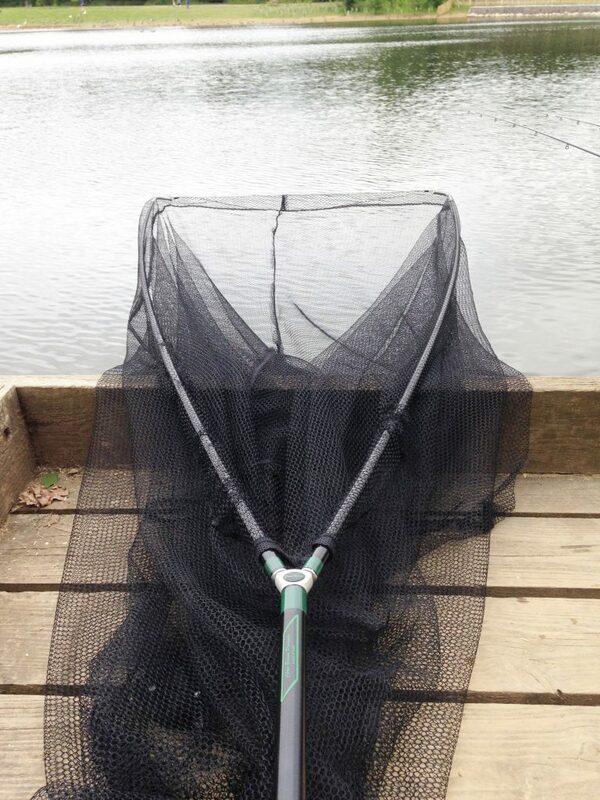 All landing nets have alloy net protectors on the arm ends and inserts in the arms at the spreader block end. Stainless Steel pins, virtually unbreakable, are fitted to the fully CNC machined spreader block which is machined from solid high tensile alloy and then anodised to BSEN12373. 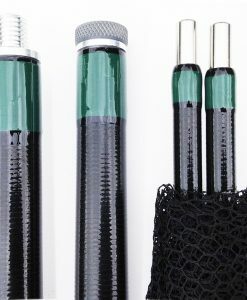 The handle and arms are finished in dark green and coated with hi-build resin for maximum protection. The finished nets can be sign written for a small surcharge of £12.50, please allow 7-10 day’s delivery. 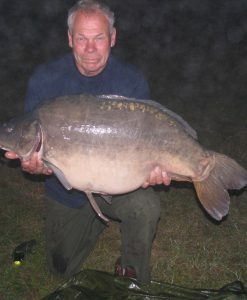 They are kinder to the fish and do not let leads through the big mesh. 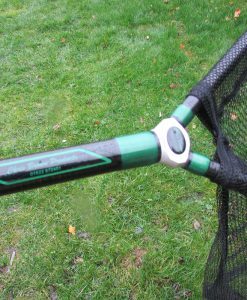 They are lighter in the water as the new mesh used tends not to absorb water and make the net heavy and unwieldly when netting a fish. 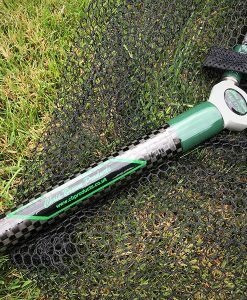 All Chris Brown nets are very strong, lightweight, have no parts to lose and are built for the job.